We just learned about the Summer Palace. Another famous castle is the Alhambra, built in 889 AD in Granada Spain. This is the famous castle where King Ferdinand and Queen Isabella met Christopher Columbus and sent him on his way to go on his trip to find America. Poets from long ago called it a "pearl set in emeralds". It has mountains all around it, with wildflowers and flowers around it. The forest nearby has nightingale birds that sing at night, and many fountains around so the sounds are very relaxing. We just learned about the Sabbath Day in Christianity. 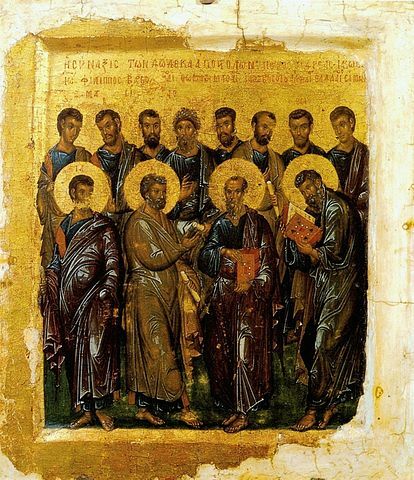 Another part of early Christian history is the Didache - The Teaching of the Twelve Apostles. In the time that people were not sure what to believe or how to worship, there was a book people made with a lot of instructions, like some of the ten commandments, the Lord's prayer, and some rules about baptism or fasting. It was called the Teaching of the Twelve Apostles, and sometimes called Didache which is the Greek word for Teaching. The writings were made some time around the late 100s in AD, and were lost for almost 2000 years. We just learned about the Noh Masks. Another famous ancient Japanese sculpture is the Wooden Buddha by Enkū. In the 1600s in Japan there was a monk named Enkū who was also a poet and an artist who carved over 100,000 wooden sculptures of Buddha. Sometimes he made these sculptures as payment for food and a place to sleep as he traveled around Japan. We just learned about the alphabet in Norwegian. We just learned about the Nell Rocket by Robert Goddard. Another part of rocket science is the de Laval Nozzle. When Robert Goddard was working on his rockets, he decided to use a type of nozzle that would have a pinch in the middle. The smaller part of the nozzle puts pressure on the burning fuel, and it comes out at a supersonic speed, burning faster than the speed of sound. The De Laval Nozzle was actually invented by a German engineer who came up with it for steam engines. We just learned about the Cephalopod Skin. Another part of a squid's body is the Statocyst. This is a sac inside the squid's head that has small hairs and a hard ball inside it. When the squid swims around, the ball rolls around inside and moves the hairs, and the squid can tell which way it is swimming. 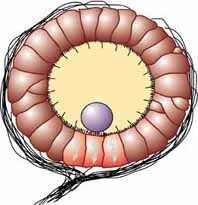 It also can use this statocyst to hear low sounds, when the sound is loud and the hairs are vibrating the sac. We just learned about the Periodontal Ligament. Another part of the mouth is the Gingiva, also known as the Gums. The gums are the soft part of the inside of the mouth, around the teeth. The lips and cheeks have skin that moves around, but the skin of the gums stays stuck to the bones of the jaw, so they help hold the teeth in place and help protect the parts of the teeth below the gums. Gums are supposed to be a color called "coral pink" for lighter skinned people. If the gums are red or bleeding, it can mean that the person has bad mouth problems and needs to brush more or use mouthwash. We just learned about the Mysore Palace. Another famous palace is the Summer Palace, built around 1500 AD in Beijing China. It was built little by little over hundreds of years as different buildings and islands were added, and it is now over 1 square mile. There are three islands on the land, that were built to be like three magical mountains in the East sea. With all of the gates, halls, towers, boats and bridges, there are over 40 different buildings to see in the palace. All of them have special names for special reasons, like the Dragon Bridge built to honor the story of the Dragon King. Some other nice names are The Garden of Harmonious Pleasures, the Hall of Benevolence and Longevity, and the Pavilion of Precious Cloud. We just learned about the Great Fire of Rome. Another part of Christian history is the Sabbath Day. In the old Jewish faith, people rested on the seventh day, called the shabbat, which is where we get the name Saturday. After the Christians started to separate into their own religion, they started to move the day of worship to Sunday. Part of the idea was that Sunday would be seen as the celebration of the resurrection and freedom from sin on the first day of every week. Some Christians through the years have changed back to Saturday as the holy day, but others still worship on Sunday. A fancy word for beliefs about which day is the sabbath is "Sabbatarianism". First-day Sabbatarianism means that Sunday should be the day of worship. Seventh-day Sabbatarianism means that Saturday should be the day of worship. There is even Non-Sabbatarianism, which means that there should not be any special day for worship, you should pick whatever day you want to worship on. We just learned about the The Great Buddha of Kamakura. Another old Japanese sculpture was the Noh Mask. For a while some of the people who followed Buddha did not really like sculptures of Buddha, so there were not a lot of sculptures made. During this time there was a type of musical theater called Noh, where people wore masks and fancy outfits. 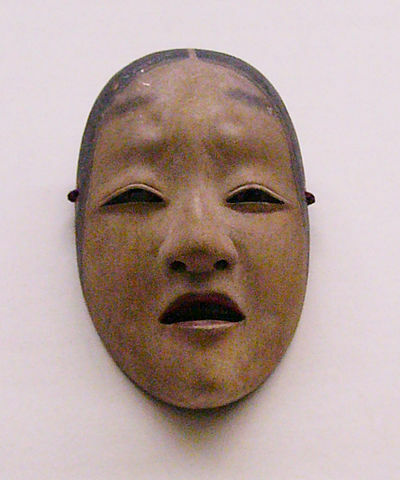 There are many Noh masks carved with different types of faces for happy, sad or angry. We just learned how to Count to ten in Norwegian. Æ, - sounds like the a in the word "bad". Ø - sounds like the i in the word "bird". Å - sounds like the aw in the word "yawn". The Italian alphabet looks the same as the English alphabet. We just learned about the L'Astronautique by Robert Esnault-Pelterie. Another famous rocket was Nell made by Robert Goddard. Goddard was a famous inventor who read about rockets in the books by Jules Verne and H. G. Wells, and came up with the very first rocket that used liquid fuel. He named it "Nell" and launched it in 1926. His team launched 34 rockets, going over a mile and a half in the sky, and over 500 miles per hour. The work he did with rockets helped get people interested in space travel and rockets. We just learned about the Cephalopod - Cirrus. Another interesting thing is the Cephalopod Skin. Cephalods like the octopus or cuttlefish can change their skin color, or if their skin is bumpy or smooth. A fancy word for this is polyphenism. Their skin is made up of an outside layer that has gooey mucous and sensors to tell when it is being touched. Underneath that top layer is a layer made of collagen, which is like a fatty cell that holds skin together. There are also cells in that layer for changing the color of the skin. Most of an octopuses body is made up of soft tissue like collagen, and their squishy body makes it so they can get through really small holes. They don't have any hard parts of their body except the beak, so even a big octopus can squeeze through a 1 inch hole! We just learned about the Alveolar Process. Another part of the mouth is the Periodontal Ligament, sometimes just called the PDL. We learned that the tooth sits into the tooth socket bone. The Periodontal Ligaments is a soft tissue that helps hold the tooth in place, and goes between the tooth cementum and the tooth socket. We just learned about the Pena Palace. Another famous castle is Mysore Palace, in Karnataka India in 1912 AD. There are actually seven palaces in Mysore, but the biggest one is called Mysore Palace. The special way the building looks is called Indo-Saracenic, which means it mixes together different construction styles, like Hindu, Mughal, Rajput and Gothic. It is three stories high and has a 145 foot high tower. There are three main entrances to the palace, and also many secret tunnels going between the palaces. On top of one of the buildings is a statue of the Hindu Goddess Gajalakshmi that stands for wealth and fortune. We just learned about the Ante Nicene Period. Another part of early Christianity is the Great Fire of Rome. In 62 AD there was a big fire that burned for 6 days, and burned down many parts of the city of Rome. No one is sure how the fire started, but after it was done the Roman Emperor Nemo blamed the fire on the Christian people living in Rome. After that a lot of Christians were treated very badly, and sometimes even killed. We just learned about the sculpture Sahasrabhuja-arya-avalokiteśvara by Tankei. Another Japanese sculpture is The Great Buddha of Kamakura, made some time around 1252 AD. No one is really sure who made the statue, but they think it might have been either Ōno Gorōemon or Tanji Hisatomo who were both famous artists at the time. The statue is made out of bronze, and was made as a replacement for a wooden statue just like it. It is over 40 feet tall, and weighs over 100 tons. It's hollow, and people can actually go inside and look around. We learned in Norwegian that 1-5 is en, to, tre, fire, fem. We just learned about the Tsiolkovsky rocket equation. Another part of rocket history is the book L'Astronautique by Robert Esnault-Pelterie. Robert was a French scientist who was studying airplanes. He made his own "REP" airplanes not long after the Wright Brothers in America made their first flight. A while later he got very interested in space travel using rockets, and wrote some books and papers about using atomic power for jets. He later worked with other scientists in France to try and make rockets using liquid rocket fuel, and worked so hard that one time after an explosion he lost three fingers from his right hand! The vectored thrust that we learned about, where the nozzle is moved to steer a rocket was first invented by him. We just learned about the Cephalopod Eyes. Another part of the Cephalopod is the Cirrus. A cirrus is a type of harder tentacle that doesn't bend as well, and doesn't have any suckers or hooks. More than one cirrus is called cirri. 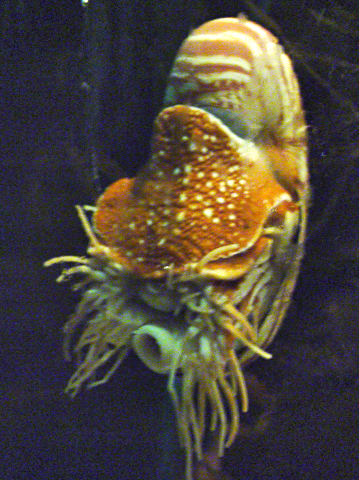 The nautilus has cirri that it uses to grab it's prey. Each cirrus has ridges on it, so they use that to try and hold on really strong. They hold on so strong with their cirri, that if the prey does get away they have probably ripped the cirri right off! We just learned about the Dental Alveoli. Another part of the mouth is the Alveolar Process. This is the jaw bone that holds on to the tooth sockets, or dental alveoli we just learned about. We just learned about the Christian Name. Another part of early Christianity was the Ante-Nicene Period. This was the time after the apostles, where there was a lot of mystery about what people believed. A lot of people had different ideas about what Christianity should be like, and there were not a lot of very good church leaders for almost a hundred years. For this time people started to call themselves Christians, but there was a lot of confusion about exactly what types of things people should believe. People believed different things about Jesus, God and the Holy Spirit, and also weren't sure about the God from the New Testament and the Old Testament. One of the most famous ones who did write about 2,000 different papers about Christianity was named Origen. Because of all the confusion, after the Ante-Nicene times people worked to get together to try and talk about how to help everyone agree on what the right way was for Christians to act. 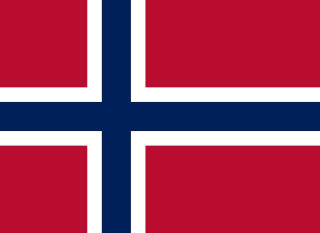 Let's count to five in Norwegian!